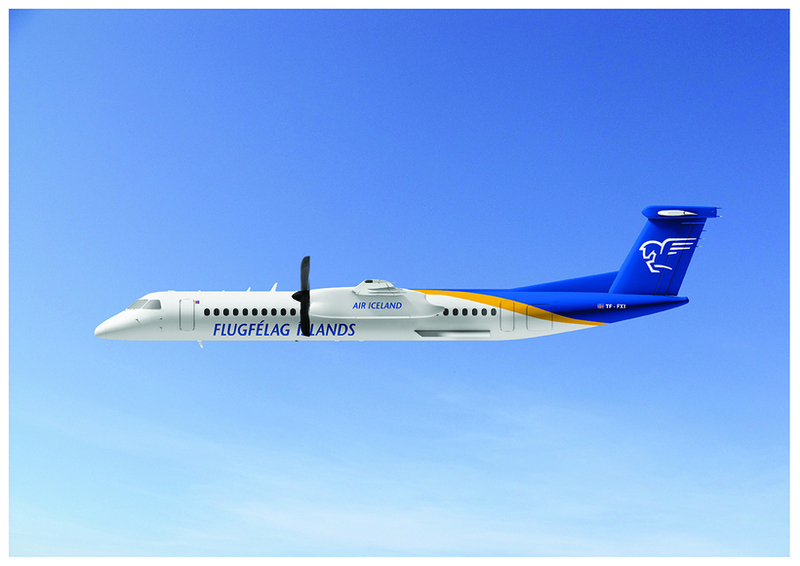 An artist's impression of the new aircraft. The first of three new Bombardier Q-400 ordered by Icelandic domestic airline Air Iceland is arriving this afternoon. The new Canadian aircraft are part of the airline’s complete fleet renewal and will replace the Fokker aircraft currently in service. Air Iceland has operated a Fokker fleet since 1965. The current aircraft will be sold and one has already left the fleet. The Bombardier aircraft bought by Air Iceland were built in 2002 and have been completely overhauled in Exeter, UK. The Q-400 arriving today was painted in Air Iceland colours at East Midlands airport and will fly to Iceland from there today. The other two aircraft on order are due to be in Iceland by the summer.